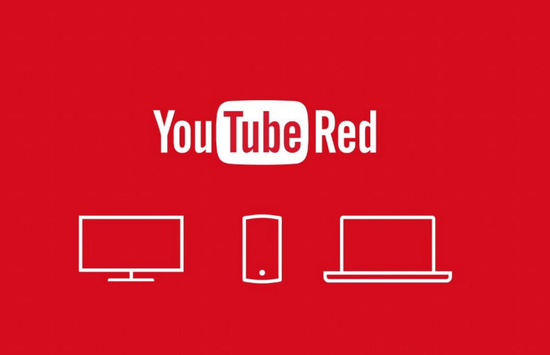 YouTube Red: Trigger For Cord Cutting? YouTube announced its first-ever subscription service last week, YouTube Red, with the usual set of (uninteresting) "premium" features -- ad-free videos and offline/background playback. The only interesting tidbit was that YouTube Red would also house "original" movies and TV shows starring well-known YouTube personalities. While it may seem mundane, this move has the potential to present a true disruption to the TV industry. For years, industry observers have talked about the looming threat of cord-cutting -- consumers were expected to drop expensive cable subscriptions in favor of on-demand streaming services like Netflix. But while Netflix has seen exceptional growth, we are yet to see a tipping point in cord-cutting behavior. This is because content creators (production studios, sports leagues, etc.) really hold all the leverage in negotiations with distributors (like Netflix). In response, Netflix began producing its own original content. The problem: Netflix was competing against incumbent production houses for the same talent (actors, writers, producers). As a result, Netflix's originals inherited more or less the same cost structure as Hollywood production studios along with their inherent risks, but with less favorable subscriber economics. This limited the scale of content creation. Now compare this with YouTube's approach to developing originals. By tapping into their base of homegrown stars and offering a cut of subscription revenue, YouTube's cost structure for content creation could be dramatically lower. As the share of revenue earned by content creators is a function of subscriber time spent, it could incentivize other YouTube channels to create their own long-form content (30-60 minutes) exclusively for YouTube Red. The resulting scale of "original" content on YouTube Red could eventually rival cable. In addition to scale, creating a parallel library of premium content also gives YouTube another strategic advantage. Teenagers who have grown up watching YouTube could increasingly gravitate towards long-form content produced by personalities and brands they are familiar with. Long-term, this could decrease interest in traditional movies and TV shows (maybe even sports), leading to real cord-cutting.